BRENTWOOD, Tenn.–(BUSINESS WIRE)– Reliant Bank has announced the selection of Melissa Key as VP, Branch Manager of the bank’s new Chattanooga location at Republic Centre 633 Chestnut Street, Suite 100. 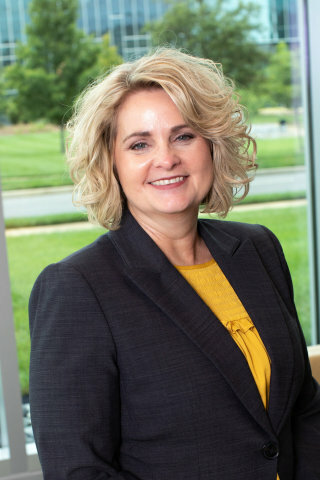 In her role, Key is responsible for the daily operation of Reliant’s full-service branch, including operations, personal and small business lending, and product sales to ensure effective growth. She will lead a team of financial service bankers and product specialists to deliver an exceptional customer experience. Key brings 19 years of banking experience and is currently enrolled in The Southeastern School of Banking. An active community leader, Key participates with a variety of organizations including the Chattanooga Women’s Leadership Institute, Scenic City Women’s Network and serves the Chattanooga Chamber as an ambassador and board member. Before joining Reliant, Key held management and business banking roles at Atlantic Capital Bank and SunTrust Bank. Reliant Bancorp, Inc. is a Brentwood, Tennessee-based bank holding company which operates banking centers in Davidson, Robertson, Rutherford, Sumner, Williamson, Maury and Hickman counties, Tennessee along with a loan and deposit production office in Hamilton County, Tennessee, through its wholly-owned subsidiary Reliant Bank. Reliant Bank is a full-service commercial bank that offers a variety of deposit, lending and mortgage products and services to business and consumer customers. As of September 30, 2018, Reliant Bancorp had approximately $1.7 billion in total assets, approximately $1.2 billion in loans and approximately $1.4 billion in deposits. For additional information, locations and hours of operation, please visit their website at https://www.reliantbank.com/.